The premise of Galactic Civilizations is that you have united your homeworld and are now ready to send your first colony ship off into space. What kind of alien worlds do you think we can settle? The reality is, many worlds are not going to be safe for us. We'll have to live in environmentally sealed enclosures at first. Not because they are too cold or lack the right atmospheric conditions (though that is an issue), but rather because many worlds will have microbes that just aren't compatible with our biology. Corrosive. Incompatible with synthetic civilizations without extreme colonization. Bacterial. Incompatible with carbon based civilizations without extreme colonization. In previous versions, these types of worlds were not very common and you could largely ignore them. But in Version 3, the mix is going to change to where worlds not quite ready for prime time are going to be far more common. For example, let's face it: Mars is not a going to support lots of people without more research being put in on our part. It's a very cold world with a very thin atmosphere. So are many other planets. Having more diversity in world classes allows us to give different types of species their own advantages. The synthetic race of the Yor, for instance, really don't have a problem with a world filled with deadly microbes. The other benefit is that it improves the pacing of the game. 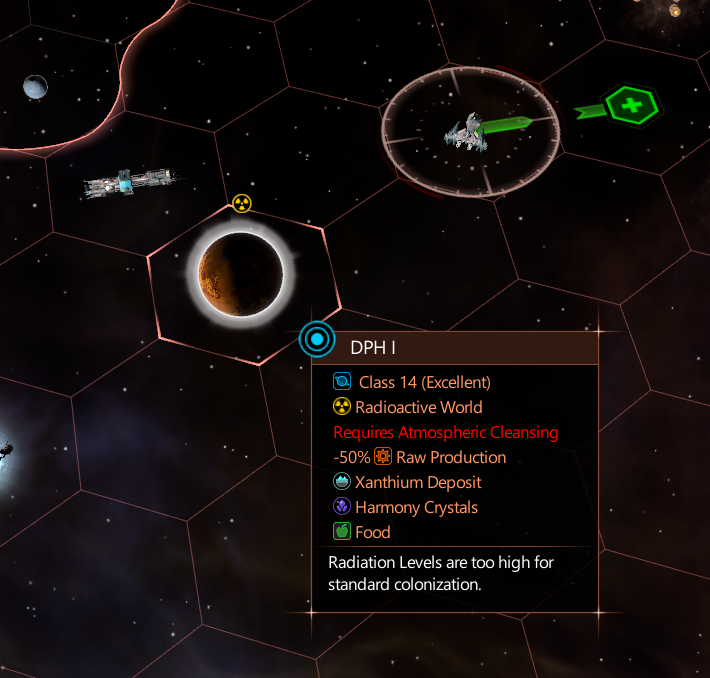 For example, instead of an all-out colony rush, the planets can become available in tiers. This lets players pursue a greater variety of strategies towards victory rather than focusing on pumping out colony ships if they want a big empire. 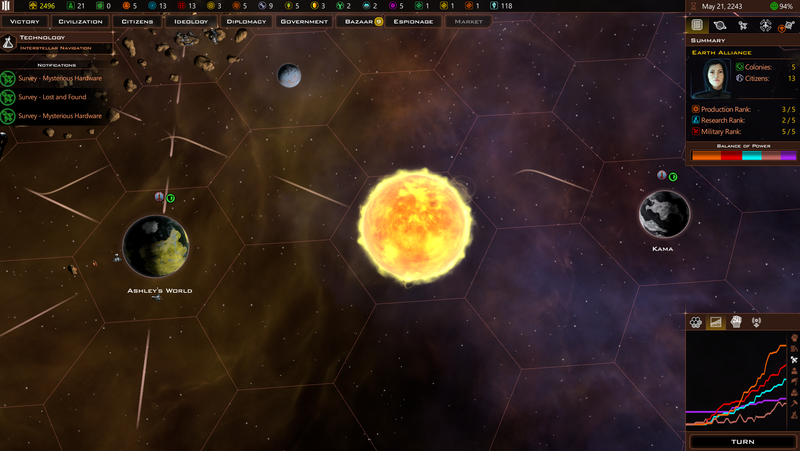 Galactic Civilizations III v3 is due out early Spring. Having more diversity in world classes allows us to give different types of species their own advantages. A synthetic race, for instance, really don't have a problem with a world filled with deadly microbes. It seems to me that GalCiv is thinking in the right direction lately, going to direction it was supposed to from the very start. I like the idea of new planetary classes. Will the Silicons have any planetary advantages over Carbons? Great ideas. In addition perhaps you could contemplate some class of planet where it is possible to somewhat colonize at first without specialized tech but then research on the actual planet to solve some type of problem unlocking full colonization options. Nevertheless, I like your trajectory. Is this part of Intrigue, or something going into the base game about the same time? Sounds like a good change.Did not bother much with them before. This is for the 3.0 update. So, yes the base game will get it. My humble opinion, concentrate on improving ground invasion and space battles. Differentiation never bored anyone to death. Those harsh environments will have to do the job instead. Now that is how balance is maintained in a proper universe! Good one! How about some planets that are extremely strategically valuable. Planets that give significant ascension point advantages, economic benefits, ship or soldering boosts. Maybe some that have significant resource advantages, a planet like Dune that churns out Armor Spice or something more valuable. A planet that has extreme influence value. Possibly a Precursor Ship yard that can build ships that are better than a regular ship yard. When they are settled the AI gets keyed up and they become points of contention. Not controlling them sways the chance of victory. Some of these might make the game too unbalanced. Maybe they would not give the extreme bonus until a certain tech or combination of techs is researched or the planet hits a certain population, etc. 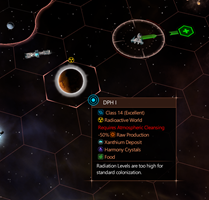 I think a few planets with extreme ascension bonuses would make the would give the game a faster pace and a sense of urgency. Especially if the AI gets keyed up when they are settled, even by other AI. This feature could be adjusted with all the other settings at the beginning of the game. Several victory point planets or none at all. Yes I would like this if it meant there were fewer "Dead Planets" with the new types replacing those removed instead. I also look forward to being able to Mod some of the xml.files, particularly wanting to be able to not have each type of "terraforming" just giving only an extra useable Tile/Hex when settlers would re-use the the new technology on other suitable sites [Tiles/Hexes]. This would really make my "Sandbox" style games more enjoyable. I am impressed with Crusades, those dead planets have now become useful, and the trading & resource acquisition have become more meaningful. Keep up the Good work. thanks. Agreed. I change some coding so I can place more of the terraforming improvements. Effectively doing away with "dead" is something I like. I always thought of "barren" worlds as what dead worlds are supposed to be, no life or atmosphere, as opposed to just an unbreatheable atmosphere, like on Mars. Maybe "Thin Atmosphere" should require bio-domes to colonize? I'm thinking of Mars still, tbh. Noticed that playing on 3.0 beta that a "Breadbasket" planet doesn't have an arable land tiles. Shouldn't a "Breadbasket" planet be covered in them? That is what logic would suggest.